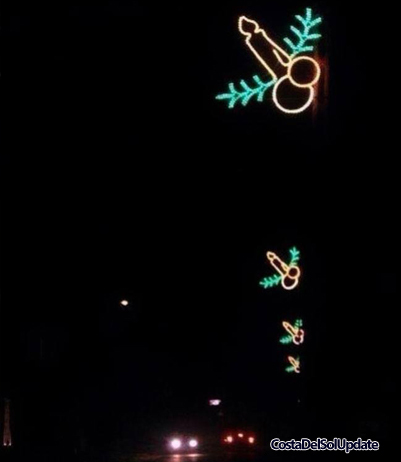 Rude Malaga Christmas Lights Cause Offense. An initiative to involve the community in the world famous lighting display has backfired leaving the council red faced. The main lighting display bears an uncomfortable resemblance to under pants. 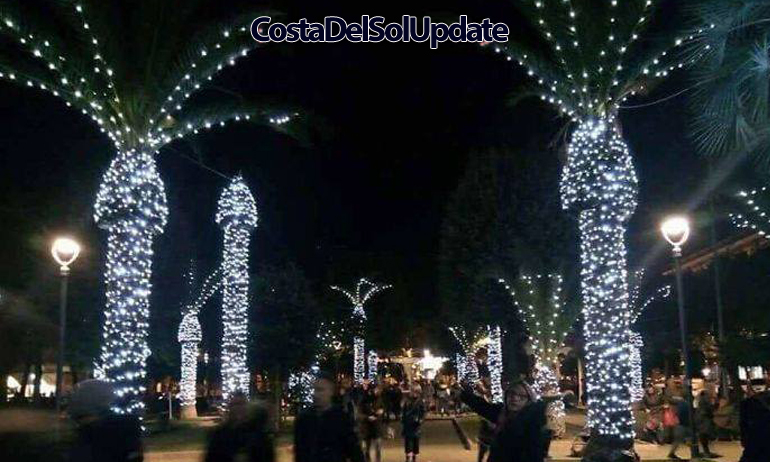 An initiative to involve the local community in the world famous Malaga Christmas Lights has backfired, leaving the council red faced as residents demand an explanation. This year local schoolchildren were invited to design the Malaga Christmas Lights, an idea which the council hoped would boost cooperation between local government and the community. 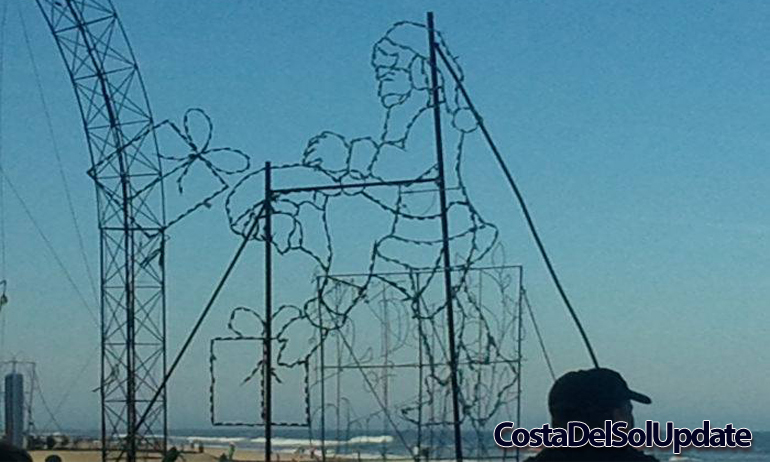 At night time, these animated lights on the Malaga sea front show Santa picking up a gift. In daylight though, they appear to show something explicit. 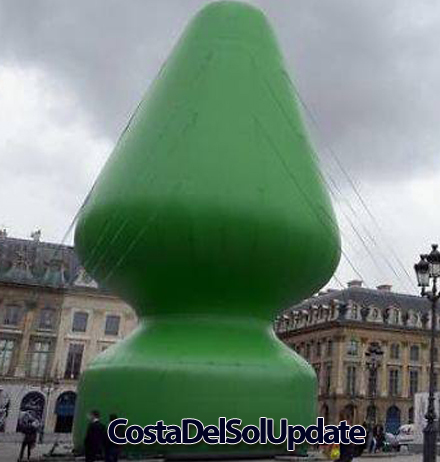 Instead of a traditional tree, this modern art representation of a tree has been installed in Plaza De La Constitution. John Goodman is an expat originally from Birmingham. 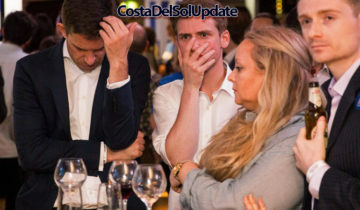 He told Costa Del Sol Update “I’m not from Birmingham actually, I’m from Edgbaston. This is disgraceful. I took my children to see the lights and all they did was snigger for two hours. I was very embarrased. You’d expect this in Clacton or somewhere like that, but not here in Malaga“. 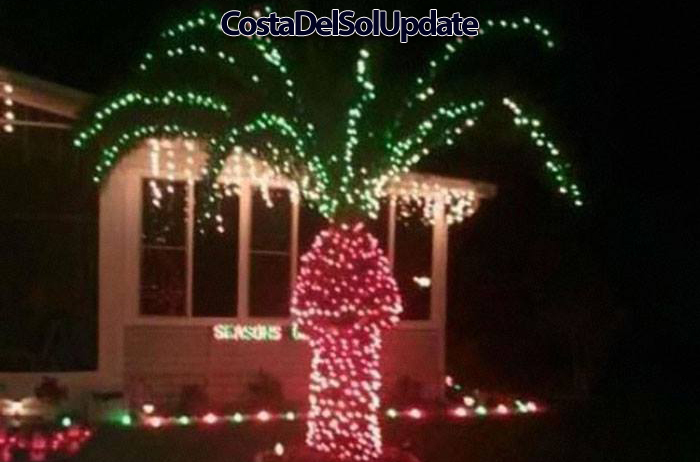 Visitors have been shocked by the lights on the palm trees at Malaga Marina. There are calls for the lights to be scrapped this year and removed completely. Fred Jones is a spokesperson for the Malaga Illuminations Nightly Gazing Executive. He says the council have been caught out, and should remove the lights. “Every year the Malaga Christmas Lights are a huge draw for all the right reasons. They would have been again this year, if it weren’t for those meddling kids. They have outsmarted the council and turned this great event into a farce”. This representation of a Christmas candle with holly and berries on buildings along the Camino De La Termica has caused outrage. 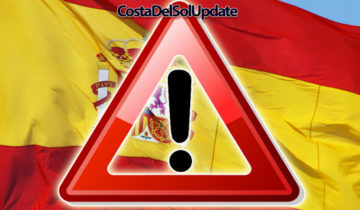 Some expats living on the Costa Del Sol are so outraged by the Malaga Christmas Lights that they are threatening to leave. Anne Fernandez runs a Facebook protest group where people express outrage on important political topics like Brexit and how many mince pies should be sold in a standard size box at Iceland. This display was designed by expat teenager Peter Jenkins. 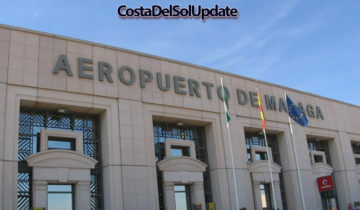 It is displayed at the entrance to the Alcazaba car park. 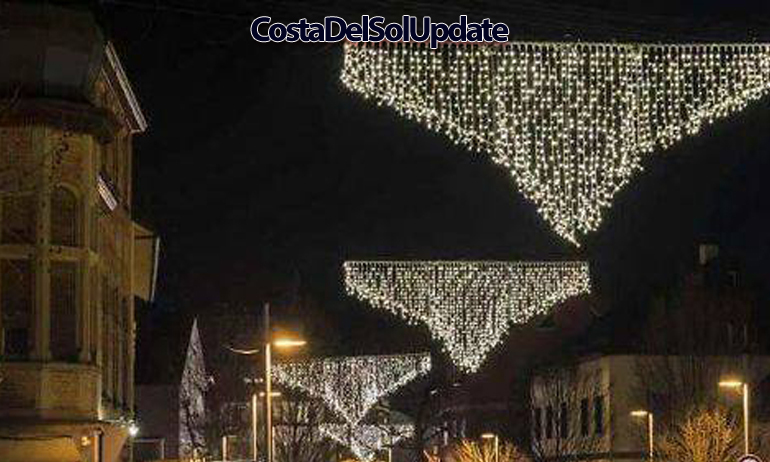 Do you think that the Malaga Christmas Lights should be removed? Have your say in the comments below. I don’t know who you are but I luvya!! Keep uo the good work. We all need an occasional laugh!